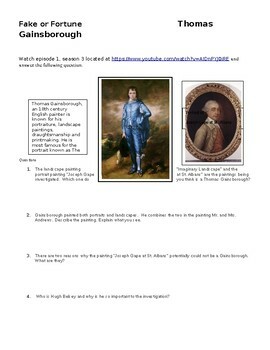 This is a worksheet that introduces that students to the 18th century portraitist Thomas Gainsborough. Students will watch an episode of "Fake or Fortune" on YouTube and learn about the provenance and attribution of notable artworks specifically addressed to Thomas Gainsborough. 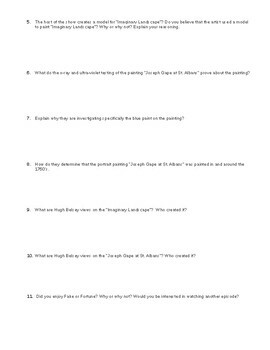 A healthy dialogue is established between students and teacher about the significance of uncovering the authenticity and provenance of works of art.